Michael Myers, Freddy Kruger, Norman Bates…these scary characters give “fear” a bad name. Yet fear is a highly lucrative business, with horror movies so far commanding $893,400,533 gross in 2017 at the box office. People like to be scared and will pay for the pleasure. Turns out, Fear in marketing can also be a blockbuster hit with audiences if employed correctly. Emotions like Fear, after all, fuel human decision-making. 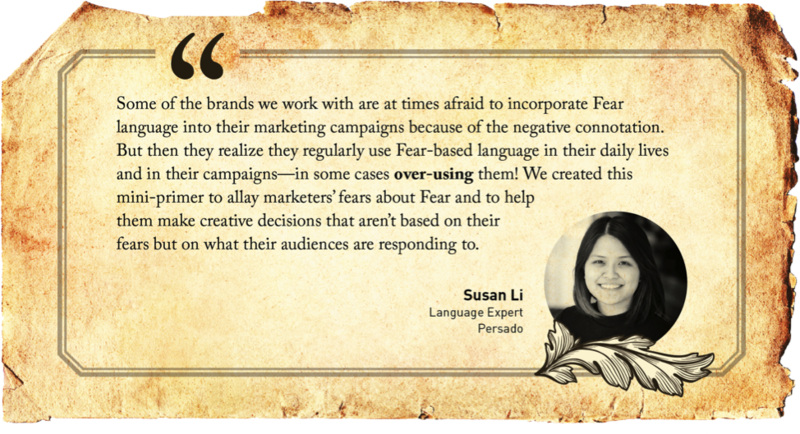 Case in point: across the thousands of marketing campaigns Persado has generated for brands, emotional language is by far the most effective driver of response. Fear, with its underlying subset of emotions Anxiety, Guilt, and Urgency, is one heck of a powerful motivator.